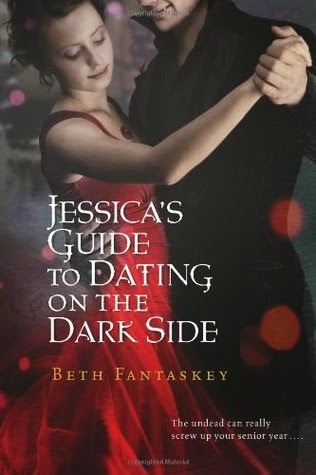 My Thoughts: I had been looking forward to Jessica’s Guide To Dating On The Dark Side. I remember being extremely excited when it was released. I did enjoy Jessica’s Guide to an extent but I had wished I had liked it more. We are introduced to Jessica who is pretty naive when it comes to vampires. In moves a boy named Lucius, a vampire who she was promised too as a baby. Come to find out, Jessica comes from quite the popular family and is destined to rule by Lucius' side. This was a bit hard to imagine and to really catch on. For Jessica and myself. She didn’t really believe in vampires at first. And Lucius sure didn’t really fit in around her small town. I liked Jessica and Lucius both. I liked both of their personalities and how they clashed. I also liked Jessica’s adoptive family and her real uncle. Lucius family; not so much. I liked the plot and how it was Lucius’ mission to make Jessica come into her vampire heritage and fall for him. I did enjoy this one but I didn’t like it as much as I had hoped. I also liked Jessica’s friend and the nice guy she was seeing. Hated the girl Lucius was seeing. But that was kind of the point. I will read the next one in the series! Overall: I’d say this is probably more of a 3.5 cupcake rating for me. I liked it, I finished it, but it didn’t hook me as much as I hoped! Cover: Like it! This is what originally drew me to the story. Thought it was cute!